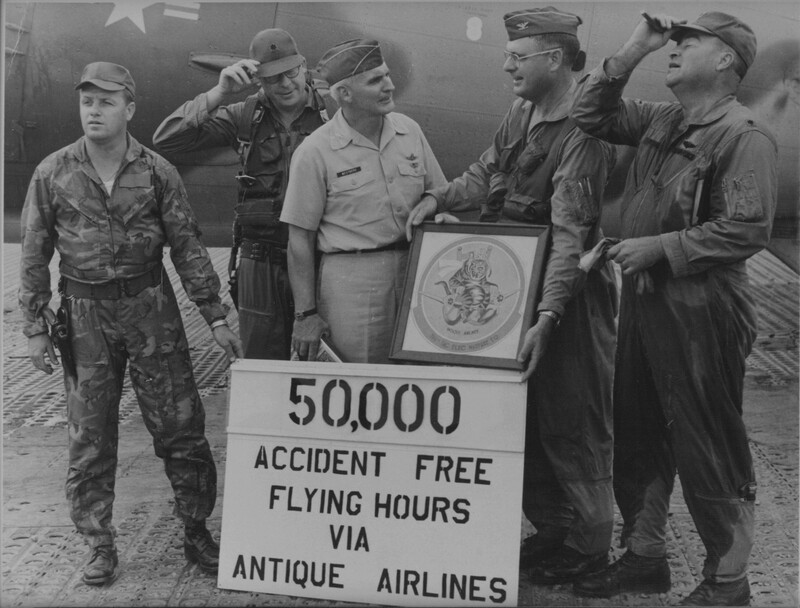 My dad, Col. Henry I. Jones, Jr., was part of the 360th TEWS in fall 1967 to fall 1968 & commanded the 360th TEWS from early July 1968 when he was promoted to Col. to mid-September 1968 when he went home for his dad's funeral, which was within thirty days of the end of his tour. 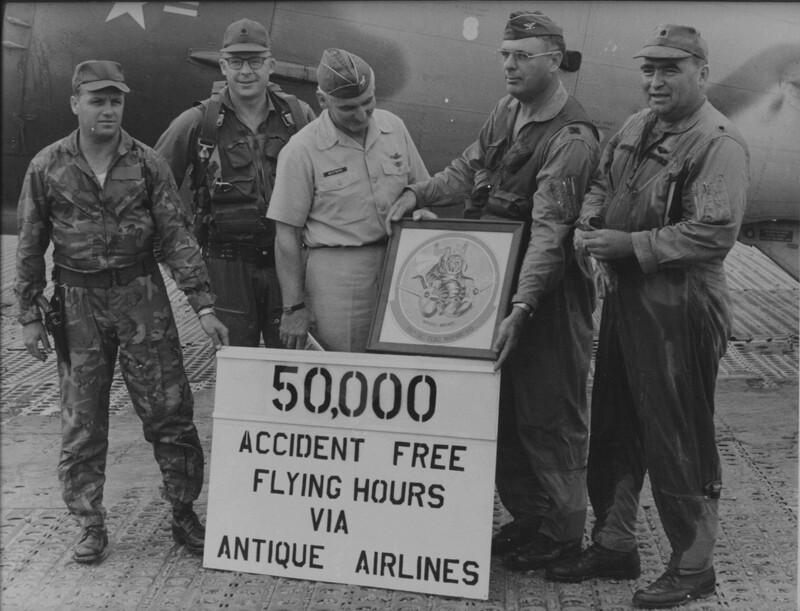 I was going through some of his pictures and found three photos commemorating the unit's 50,000 accident-free flying hours in July 1968. I was four when he left for Vietnam and don't remember much. My siblings are older and remember more details about his tour. I do remember that he was there for the Tet offensive and was across town mailing me my birthday present when his quarters was hit. Col. Jones is holding the framed "Old Tiger" portrait. The aircraft is EC-47N, serial number 42-24313. Backenders are conspicuously absent ! Update, 16 July 2016. 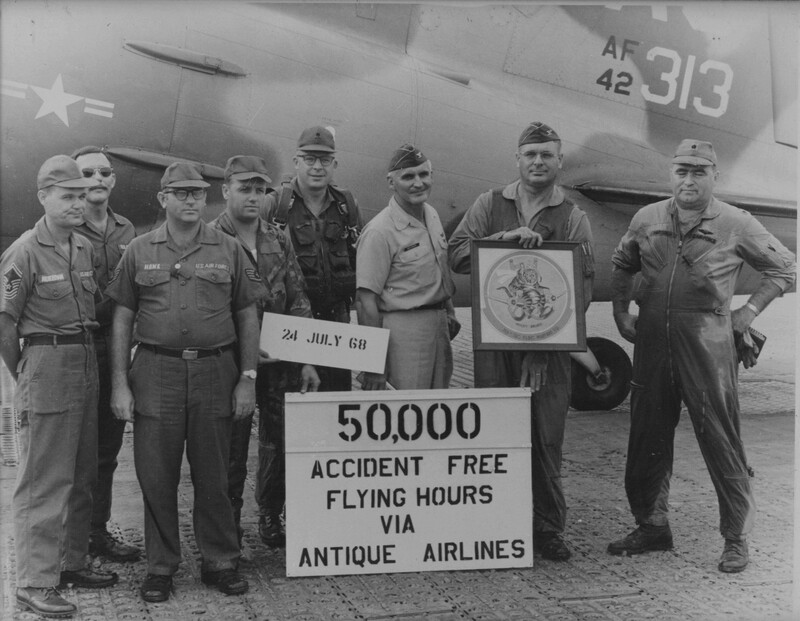 Below, left to right: CMSgt Ruebman, Capt Richard A. Rome (maintenance officer), SSgt Howe, TSgt Joe Snodgrass (flight mech), U/I Maj or Lt Col (navigator? ), U/I Col, Col Jones, Lt Col Joseph P. Marsiglia. Thanks to Fred Sanders for the ID on Rome and Snodgrass. Nametags for Ruebman and Howe are legible in the original photo. Their roles in the squadron are unknown. If you can help make further identificiation, please contact us. 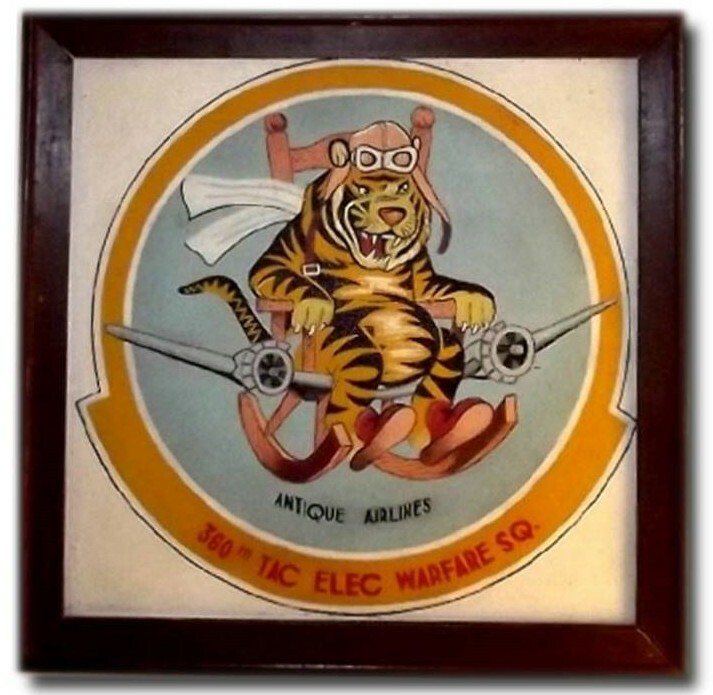 Below is the original "Antique Airlines" emblem seen in the photos above, now preserved by J.C. Wheeler.